Enjoy a drink as the tide comes in while relaxing on the terrace, with the water lapping just below. Damien Goguet, chef at our Michelin-starred restaurant, will take you on a very special gastronomic journey. 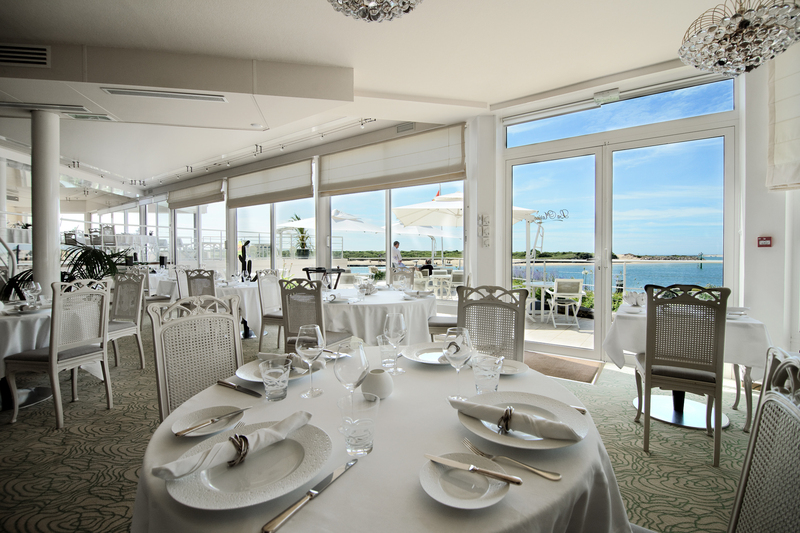 Hôtel La Marine rises up like a liner at port, waiting to take you on a gastronomic cruise.